Today saw the magnificent matrimony union of Mr & Mrs Kissel at Melati Resort. The bride and grooms family are from Australia and the Philippines, and their guests from everywhere else in between. After the beautiful ceremony on the beach, the guests enjoyed cocktails by the pool bar and on the soft white sand. DJ Jessi played a selection of acoustic cover songs whilst the dinner was being prepared.. The Bride and Groom then made their grand entrance and cut the cake. Some emotional and hilarious speeches ensued, as tears and laughter followed. Subsequently everyone tucked into a delicious spread, and it wasn’t long before people were up and dancing. This group knew how to party! 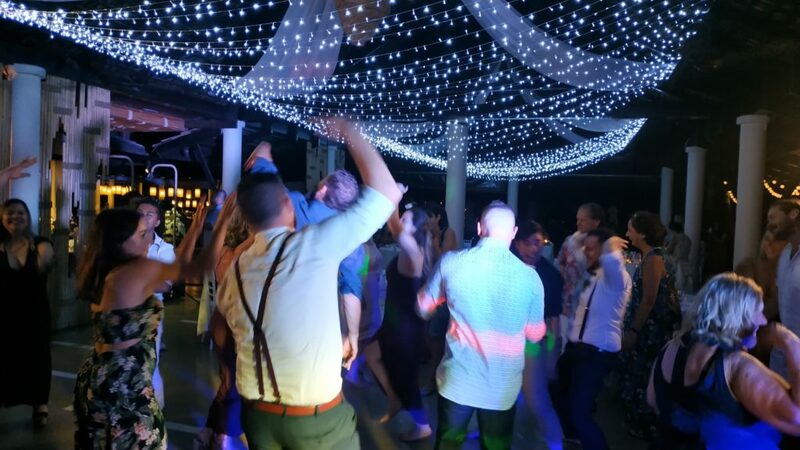 This entry was posted in Events / News and tagged Aussie Wedding, dancing, Filipino Wedding, fun, happy customers, melati, Music. Bookmark the permalink.